People from ancient times have left behind pieces of history in the form of monuments that are feats of art, architecture, and engineering. In order to protect these monuments, the United Nations Educational, Scientific and Cultural Organization, a specialized organization of the UN declares such sites World Heritage Sites. This means that they are of cultural and historical importance not just for the people of a specific region or country but of the entire world. Here is a list of the 10 most beautiful World Heritage Sites. Machu Pichu is an ancient city of the Inca period and is located on top of the Urubamba hill in Peru. It has been declared as a UNESCO World Heritage Site in 1983 and since then has gained popularity as a tourist destination. This city was built around the 1450s and was abandoned only 100 years later due to the Spanish invasion of South America. It is also known as the ‘Lost City of the Incas”. Most of the structures are still intact and this city has been extensively studied to learn more about the Incan culture. The Pyramids of Egypt one of the famous monuments Of Ancient Egypt stretch for over 9 kilometres and the complex also has other important structures like the Sphinx of Giza and other smaller tombs. The whole complex was declared a world heritage site in 1979. Set on the banks of the Nile River, the pyramids were built as tombs for Pharaohs and most of the structures in this complex were built around 2500 BC. The pyramids are also the oldest among the seven wonders of the world. A symbol of Chinese history and the Chinese nation, this large wall built during the 7th century BC to protect the borders of the Chinese empire against attacks from nomadic tribes of the North and West and later expanded by succeeding emperors to increase its length as well as height. It is one of the largest man made wonders built by humans and is also visible from space. It was declared as a world heritage site by UNESCO in 1987. This city in Myanmar is one of the many abandoned cities in the world to be well preserved till today and was declared a world heritage sites by UNESCO in 1996. This city is located on the plains and was the capital of the Pagan Empire that ruled Myanmar between the 9th and 13th centuries. This Buddhist Empire commissioned several temples, monasteries, and other structures to be built in the capital and about 2200 of these temples stand till today. This city is also one of the main tourist destinations in Myanmar. It is also listed as one of the best places to visit in Southeast Asia. Known as a symbol of love throughout the world, the Taj Mahal is located in the Indian city of Agra and is a tomb built by Mughal ruler Shah Jahan for his wife Mumtaz. This white marble structure is intricately carved with Islamic emblems and passages and is a typical example of Mughal architecture in India. It is surrounded by beautiful gardens built in the Char Baug style and is visited by more than 3 million people each year. The main structure octagonal and is capped by a large dome and was a marvel of engineering of time. It was declared as one of a world heritage sites in 1983 and since then extensive restoration and repair work has been commissioned. It is one of the most visited tourist sites in India. This small island is located around a kilometre off the coast of Normandy and has one of the most beautiful castles in the world. It rises to a height of around 300 feet above sea level and is cut off from the mainland during high tides. The island itself has a small population of a few dozen people but is visited by many tourists. It was declared a world heritage site in 1979. The Angkor Wat Complex is one of the largest Hindu temples in the world that dates back to the 12th century. It was built by Khmer King Suryavarman 2 in the early 12th century as the official temples of the state. The King was later buried here. Though it was initially a Hindu Temple, today is a Buddhist structure and also appears on the flag of Cambodia. It draws many foreign and domestic tourists and was declared a World Heritage Site in 1992. 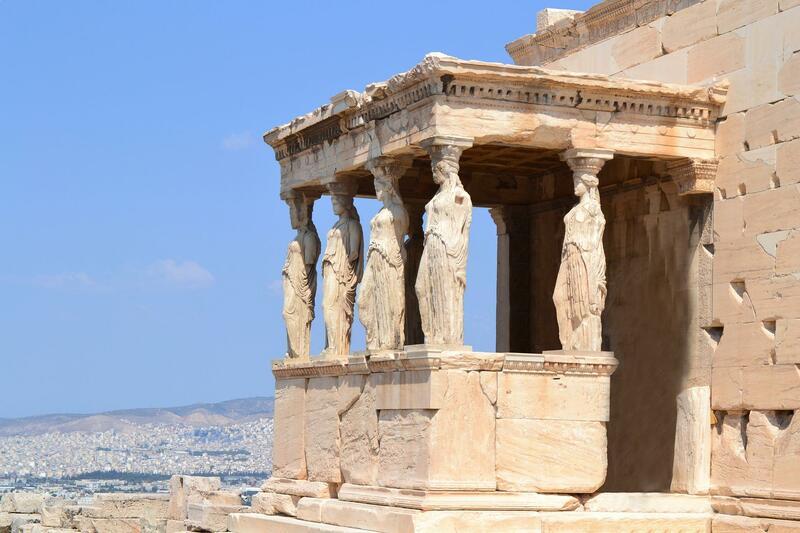 Undoubtedly some of the best preserved and most magnificent remnants of the Greek Empire, the Acropolis of Athens has the remains of the Parthenon as well as other structures that were used for religious and administrative purposes. It is located on top of a rocky hill that overlooks the present day city of Athens. It was declared a world heritage site in 1987 and is one of the most famous monuments in Europe. These famous statues located on Easter Island are very large monolithic figures with humanoid features and large heads that account for about three eights of the statues. They were built by the Rapa Nui people at different times between 1250 and 1500 AD and one of them is incomplete. The tallest of these statues is almost 10 meters high and is called Paro. This site was declared a world heritage site in 1995 and since then these statues have been some of the most visited statues in the world. This ceremonial pyramid built north of the Yucatan Peninsula belongs to the Mayan era. It has a history of over 1500 years and is dated back to 400 AD. Though the exact purpose of this structure is unknown, it is believed that it was governed by priests and was used to perform religious ceremonies and sacrifices including human sacrifice to please the gods. It is one of the most beautiful Ancient Mayan Temples in the world. The name Chichen Itza means ‘At the mouth of the well of Itza”. It was declared a world heritage site in 1993 and receives more than 1.2 million visitors each year. You should also know about facts about the Mayans that might surprise you. Once any site is declared as a world heritage sites by UNESCO, there are several special provisions that are applicable to it. The government of the host country is bound to protect and restore it, the structure is not to be altered for the worse and countries are advocated to avoid destroying such structures in the event of an armed conflict. There is also special funding allotted to these sites. The boost in tourism and additional revenue for the host country is just one of the many benefits.